There isn’t much we can yet say for sure about the anticipated future Ford Shelby GT500 Mustang: when it might arrive, what engine will power it, nor even whether Ford is indeed working on such a car. Sure, there’ve been some interesting test mule sightings of late, but remember: there have also been rumors alleging that a Mach 1, a Boss 302, and even a “Bullitt Edition” Mustang are all in the works. It seems the pony car’s stable is soon to get a whole lot more crowded, even without the help of a new Shelby GT500. Still, signs point to “yes,” and we get the feeling it’s only a matter of time before we get indubitable proof that a high-performance Shelby GT500 model is in the works. 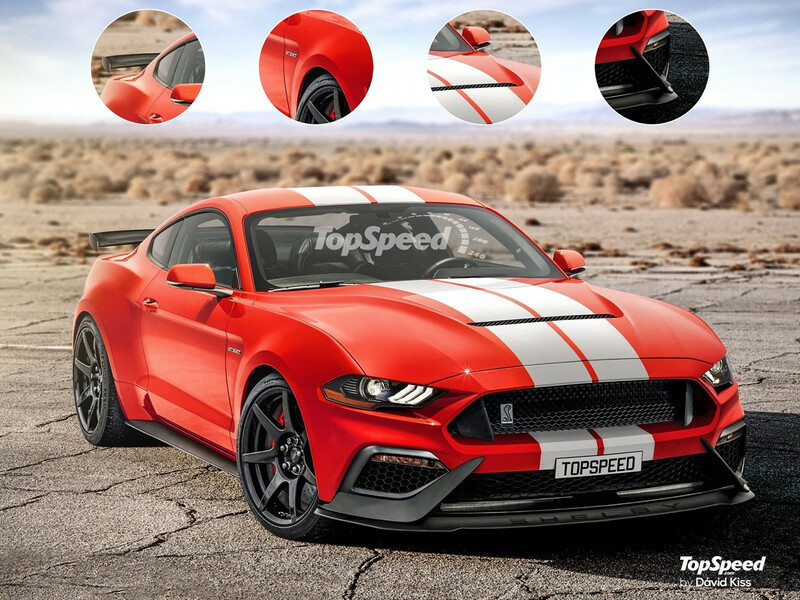 So to get an idea of what we can (hopefully) look forward to seeing on the road in the near-term future, the folks over at TopSpeed have taken the liberty of rendering the 2019 Ford Shelby GT500 Mustang in beautiful detail. Naturally, they’ve based the design off of the refreshed, 2018 Ford Mustang, dressing it up with a mix of brand-new parts and aesthetic elements borrowed straight from the existing Shelby GT350. The hood, like that on the GT350, has a wide vent to extract hot air from the engine bay; the nose wears a massive chin spoiler with two big, boomerang-shaped winglets channeling air into the front lower inlets; big side spoilers run along both sides of the car; and in the back sits a unique wing not used on either the GT350 or its hotter “R” variant. Look back to the old (2013-2014) Ford Shelby GT500, and immediately you can see the resemblance. For more on Ford’s (alleged) forthcoming Shelby GT500 Mustang, stop by TopSpeed.com, where they’ve compiled a brief history of the Shelby GT500 and made some forecasts for the 2019 model.